Recently, a commenter on another blog mentioned that one of the things they missed from Dreamweaver is the ability to do a search and then export the results. I didn't even know DW had this and it does sound rather useful! In case you're curious, here is an example. I searched my test directory for cfqueryparam. In the results panel is a simple button you can click to export the results. The export goes to an XML file. It is a bit verbose, but you could probably import this into an Excel file. (Although I just tried and Excel on the Mac doesn't seem to have the ability to do it. Maybe I'm just missing it.) 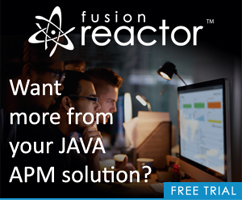 Any way - as the user no longer wants to use DW since he is a ColdFusion developer, he wasn't happy with this particular feature not being in ColdFusion Builder. The change wasn't immediately obvious (hence me adding a big arrow to the screen shot), but once clicked, you get the ability to save it as a new CSV file. I apologize if that screen shot is a bit too hard to read. Basically the report includes the project, path (based on Project name), location (real file path), line number, the text before and after, and the match.